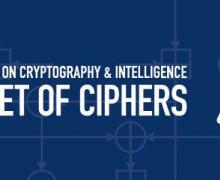 In 2011, Prague College organised an international conference on cryptography and intelligence in cooperation with the Institute for Military History (VHU), the National Security Authority (NBU), Charles University and Europeum, the Institute for European Policy. The conference explored the historical and contemporary context of cryptology and intelligence from the Second World War to the present day. It brought together leading people in diverse fields from all over Europe, opening to the public domain the hidden world of cryptography and intelligence.